Here they are — all the best old house magazines in one comprehensive list! Read on for CIRCA’s picks for favorite historic house magazines, renovation magazines, historic preservation magazines, and overall old house design publications! If something’s missing from this list, please add it in the comments below. Is there anything more quintessentially American than a stately craftsman bungalow? Friends, we definitely started the 20th century off right! Beautiful bungalows took turn-of-the-century America by storm, and can be found today in all 50 states. If you’re a lucky owner of one of these arts & crafts jewels, American Bungalow Magazine has you covered. I also happen to be a HUGE fan of their graphic design. I just love the hand-drawn elements throughout! Though focused primarily on modern design, Architecural Digest does have an Historic Design section where you’ll find some before-and-after photos of old house renovations and write-ups about stunning historic properties all over the world. It definitely leans toward the luxury end of the stick, but provides some fantastic inspiration for old houses owners far and wide. Renovating an Arts & Crafts home? Lucky duck! Arts and Crafts Homes Magazine has more than enough inspiration to keep you on track with an authentic period renovation. They also provide comprehensive lists of suppliers and contractors and even offer travel tips for those seeking to vacation in true early 20th-century style. (P.S. I’m a big fan of the fonts that came out of this era, and Arts & Crafts Magazine makes great use of them). Don’t you just love a cozy cottage? While I wait to find my dream home, I’m living vicariously through the pages of Cottages & Bungalows Magazine, crafted especially for the quaint at heart. Here you’ll find before-and-after renovation photos, DIY projects suited for cottage living, and tips and tricks for decorating your little charmer. All I ask is that — when all is said and done — you invite Team CIRCA over for a look-see. As its publishers like to say, Country’s Best Cabins Magazine taps into the cabin frame of mind. And really, aren’t we ALWAYS in a cabin frame of mind? Give me a fireplace and a good book, and I’m pretty much set — anytime, anyplace. If you’ve finally scored that dream cabin, you’ll need lots of inspiring picks for your Pinterest board, and Country’s Best Cabins Magazine is where you’ll find ’em. The same publisher is behind Log Home Living, which I’ve also listed below. Having grown up in an early American home, my taste for exposed wood beams and stone fireplaces was engrained in me at an early age. I just love to flip through the pages of Early American Life and take in the beauty of all of those old farmhouses. I have a few must-have publications that I like to read every month, and this is one of them. Recently they ran pages and pages of early American porch photos and a photographic list of gristmills to visit across America. EYE CANDY. Ah, Country Living. It never fails to make me smile. Though not specifically targeted to old houses owners, there is something about the Country Living aesthetic that just seems to perfectly compliment CIRCA’s vibe. Maybe it’s the pages upon pages of home tours and beautiful interior photos that keep me constantly on the hunt for my dream home. I’m especially fond of their antique guide, which showcases the best antique shows across the country. I’ll let you in on a little secret: I have an unhealthy obsession with all things British. If I can’t move to London, I want to live in a stone cottage in the English countryside. Is that too much to ask? Alas, since I don’t think I’m ever actually moving overseas, I plan to add a LOT of English flair to the old house I’ll be buying sometime (hopefully!) very, very soon. If you share my obsession, you’ll love The English Home Magazine, which is filled to the brim with ideas for bringing the quintessential English life to your very American home. A recent editor’s note for Early Homes Magazine sums up my thoughts exactly: “Is it because I live in New England that I find nothing at all odd about people inhabiting houses that practically smell of the past?” There are old houses, and there are OLD houses. Houses as old as America herself. Early Homes Magazine is a semi-annual publication, but boy is it worth the wait. The perfect excuse to get cozy and candlelit. House Beautiful Magazine is another of my favorite resources for gathering interior inspiration. In fact, just leaving it on my coffee table makes my whole apartment seem smarter. Not surprising: My favorite is the Makeover section, which gives me hope that the wonderful old house in my future might someday be magazine-worthy. It was in House Beautiful that I first laid eyes on Benjamin Moore’s Palladian Blue (HC-144) and proceeded to swear off all other paint colors from here to eternity! The Family Handyman Magazine is for the inner DIY-er in all of us. If you’re a fan of CIRCA, you might — like me — be searching for your perfect fixer-upper. When that time finally comes, you’ll need to know a lot of practical information related to scraping paint and patching leaky roofs (all that fun stuff)! The Family Handyman is a great resource for when it’s time to get down and dirty. Interested in starting a magazine? Will someone please revive Old House Interiors? This was a favorite of mine that that recently ceased publication, but I thought I’d list it here anyway in the hopes that a dear reader will inspired to pick up where the editors left off. Fortunately, many of the old articles can still be found online. When CIRCA launched, my husband encouraged me to add a list of man caves for sale because he’s infatuated with living like Lincoln in a log cabin. I understand completely. Can you get any closer to nature than this? Log cabins are so absolutely wonderful, and no one knows that better than the editors of Log Home Living. The homes shown in this magazine aren’t exclusively old, but a fair number of them are. Anyway, if you’re going to build new, let’s at least do it in style. Log cabins will ALWAYS be in style. I might be guilty of buying This Old House just to look at the “Save This Old House” feature on the last page of each issue. But I’m always glad to waste hours more flipping through the pages upon pages of renovation tips and inspiring home decor photos. I’m also a fan of the annual “Best Old House Neighborhoods” picks. It’s not exclusively for old house owners, but you can bet the pages of New England Home Magazine show their fair share of beautiful saltboxes, Cape Cod cottages, and lots of other colonial delights. I always learn a great deal from their design history section, which shares the stories behind some of the great estates found throughout the Northeast. Old House Journal is a good ol’ classic that has been around since 1973. Seriously, I don’t think I could live without Old House Journal, which I consider to be required essential monthly reading. Old House Journal goes deep into the history of many homes across America, which I find fun and informative to read. In addition, it has much to say about practical restoration work and old house decorating tips. This one’s for the purists among us. Period Homes Magazine has much to offer those engaged in authentic period restorations (or those who, like me, like to dream about being engaged in authentic period restorations). I like to think of CIRCA as a great source for old house eye candy; Period Homes Magazine is another. My academic background is in historic preservation, so naturally I am a devotee of Preservation Magazine. Published by the National Trust for Historic Preservation (which does amazing things! 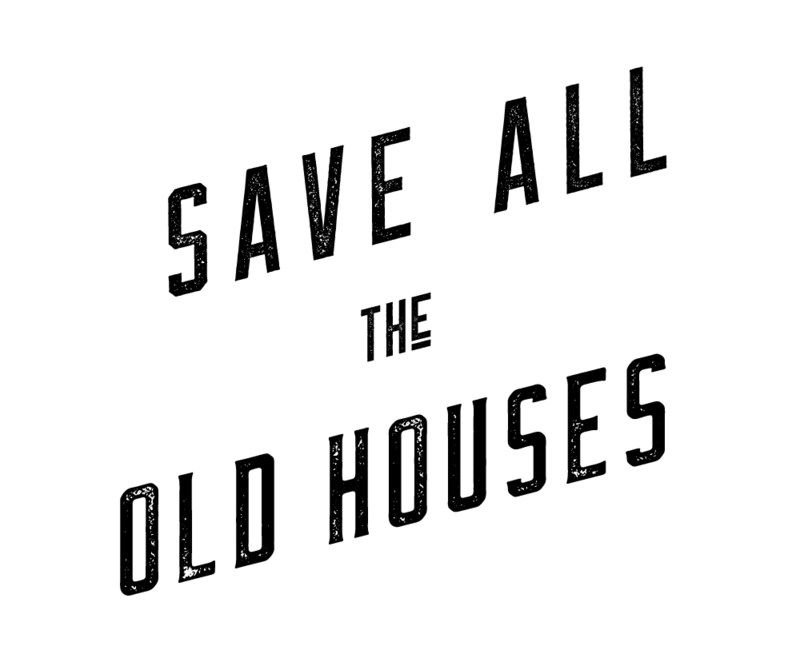 ), the magazine is an incredible resource for those interested in getting involved with the advocacy side of old house preservation. They cover nationwide issues that spanning from architecture to restoration to urban planning. A unique and wonderful magazine. Remodeling Magazine gets pretty technical in showing its readers how to do everything from hammering a nail to wiring a chandelier to building an elaborate deck. If you’re the type who likes a good DIY project, or if you’re involved a fixer-upper project, this would be a wonderful resource for you. I like Romantic Homes Magazine for the inspiring interior house photos. The publishers also produce Victorian Homes Magazine, Well-Styled Home Magazine, and Cottages & Bungalows Magazine. Every once in a while they’re feature an old house with interesting period decor. I recall seeing a vintage kitchen in here decorated head-to-toe with areen vaseline glass, which is one of my favorite things in the world. I’m not from the South, but in my past life I owned an Italianate mansion in Savannah. Deep down, I’ve always admired the formality and graciousness of old Southern living. Southern Living Magazine has a Home & Decorating section that often showcases regional old houses, renovations and tips/resources for decorating with antiques. Clem Labine founded Old-House Journal, Traditional Building Magazine, and Period Homes Magazine. He was also one of the original “Brownstoners” who helped revive my current neighborhood — Park Slope, Brooklyn! So I have a special affinity for Traditional Building Magazine, which is a go-to source for all information related to authentic period renovations. Represent! Like some of the others on this list, Traditional Home Magazine isn’t uniquely about old houses, but it does include its fair share. I look at it mostly for the big, beautiful photos and decorating tips, which I’m stashing away on Pinterest until I finally get that old house. My grandmother introduced me to Meet Me in St. Louis when I was five years old, and my life was never the same again. I WANT A BIG, OLD VICTORIAN HOUSE. Do I need to say that again? I WANT A BIG, OLD VICTORIAN HOUSE. Alas, I live in a 650 sf apt. Enter: Victorian Homes Magazine! It’s time to live vicariously. When I was growing up, my mother subscribed to Yankee Magazine. Now, I find their home section to be a fantastic resource when I’m homesick for that cozy New England lifestyle. If you’re a fan of things like rustic barns, colonial cottages and wrought iron chandeliers (and really, who isn’t? ), this magazine is for you. Founded in 1935!